Chicago delivers a variety of hotel accommodations, from exquisite downtown properties featuring lakefront views – to more modest lodging in the Chicago suburbs. Regardless of your tastes, Chicago is sure to have what you are looking for. 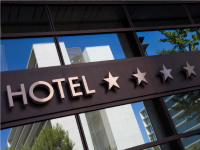 Review the premium hotels below, take a look at the Chicago hotel map, or select from a wide range of hotel and motel chains available in the Chicago metropolitan area. Interactive Map – You can zoom the map in or out using the +/- boxes in the left corner or hover over any red icon to see the name of the hotel. You can also place your cursor on the map, left-click and slide the range of the map for a wider viewing area. Click “View Larger Map” at the bottom to see a larger view from Google Maps.